In a superb apartment complex this 50m² apartment is really nicely furnished and equipped. The complex has some excellent shared facilities including a swimming pool, sauna and hot tub. 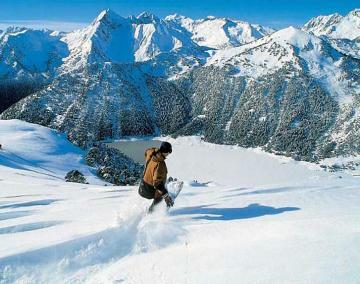 In the centre of Saint Lary Soulan there are shops, restaurants and bars where you can enjoy your après ski. The ski lifts are 300 metres walk. The accommodation comprises a comfortable living and dining room with satellite television and DVD player. There is a two person sofa bed and two bedrooms (each with a double bed or 2 x identical 90cm wide beds). Open-plan kitchen with hob, microwave oven, dishwasher, refrigerator etc. Shower room with toilet.